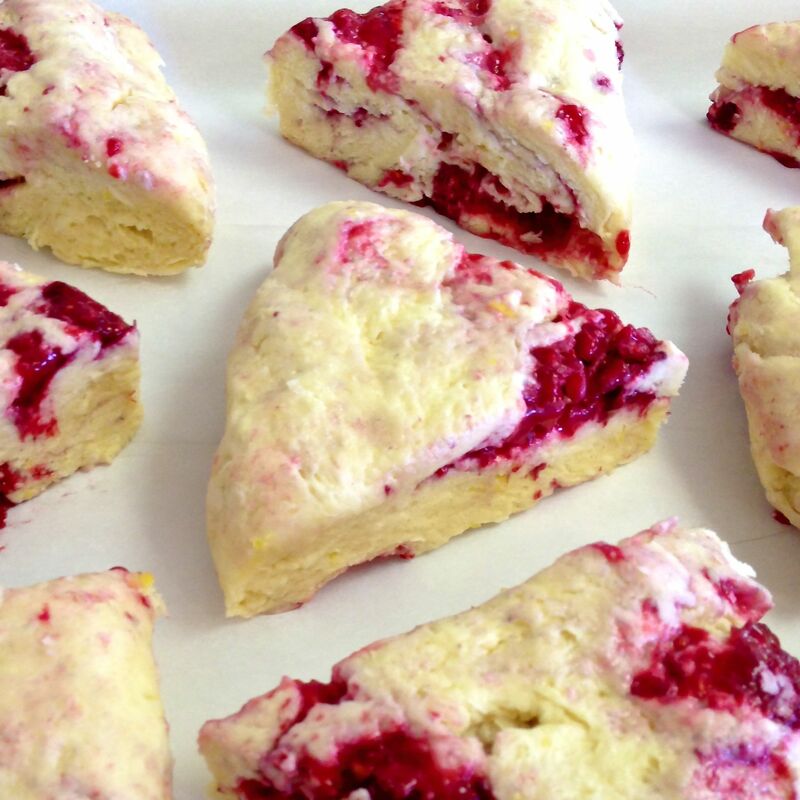 Using my basic cheese scone recipe, I changed a couple of things (besides leaving out the cheese) and made these very yummy, super easy scones. 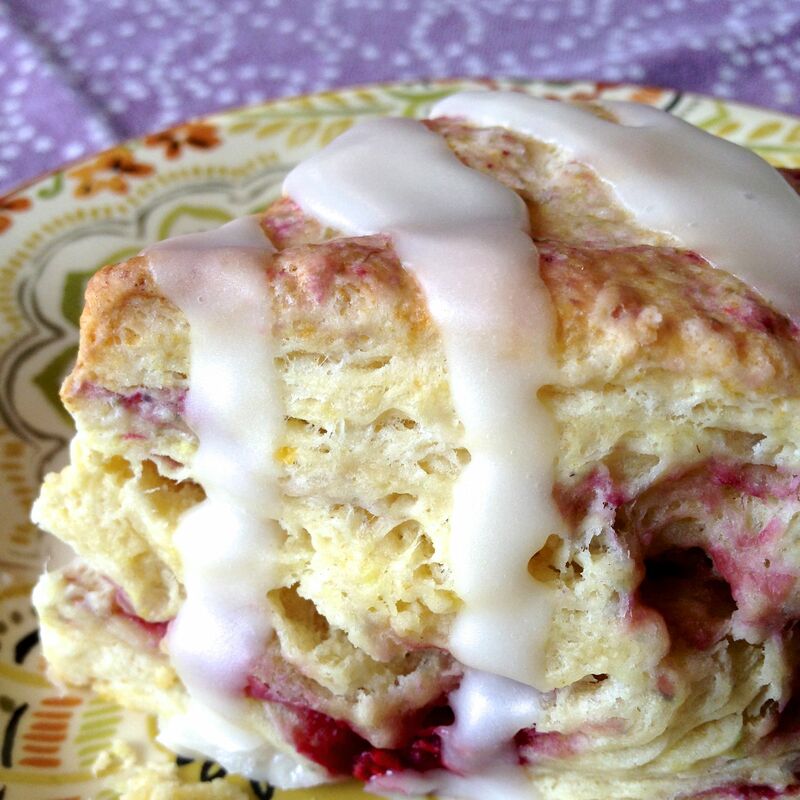 The lemon and white chocolate are great additions, but even just with raspberries and the glaze, these are excellent. The recipe makes 18, and when our friends left to go home, I noticed there were only 5 left. 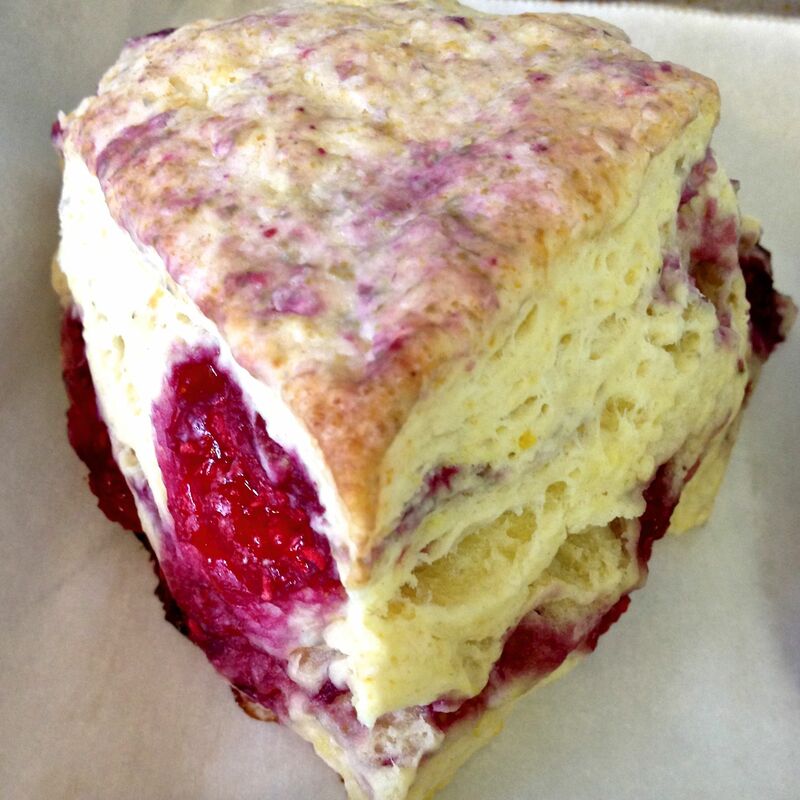 Yup, we drank a big pot of tea, several mugs of coffee and ate a whole whack of scones. And we were all the better for it. Enjoy! 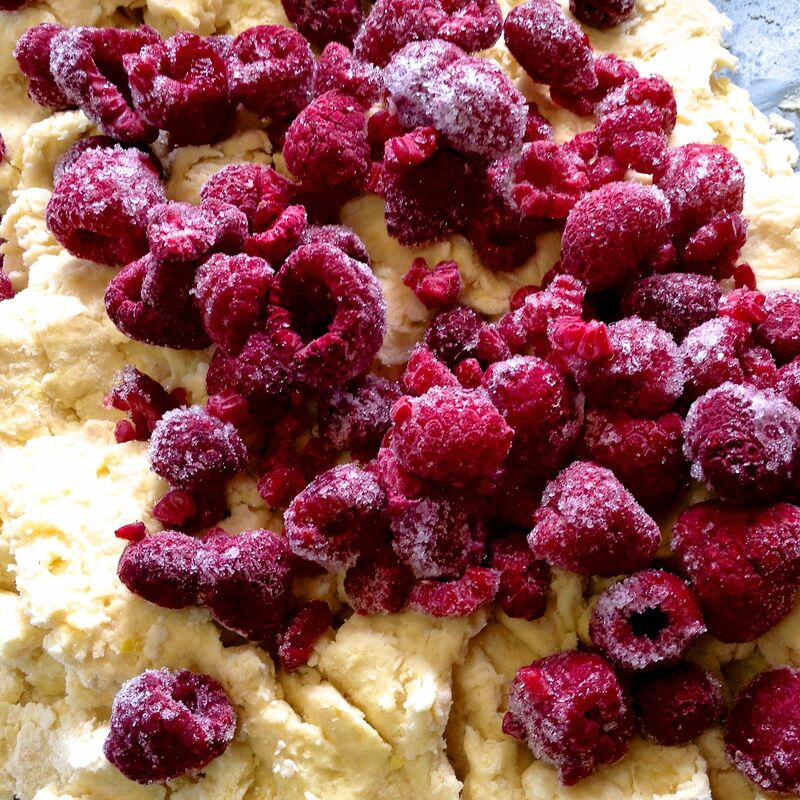 1½ c frozen raspberries, broken into individual pieces, but kept frozen until used. 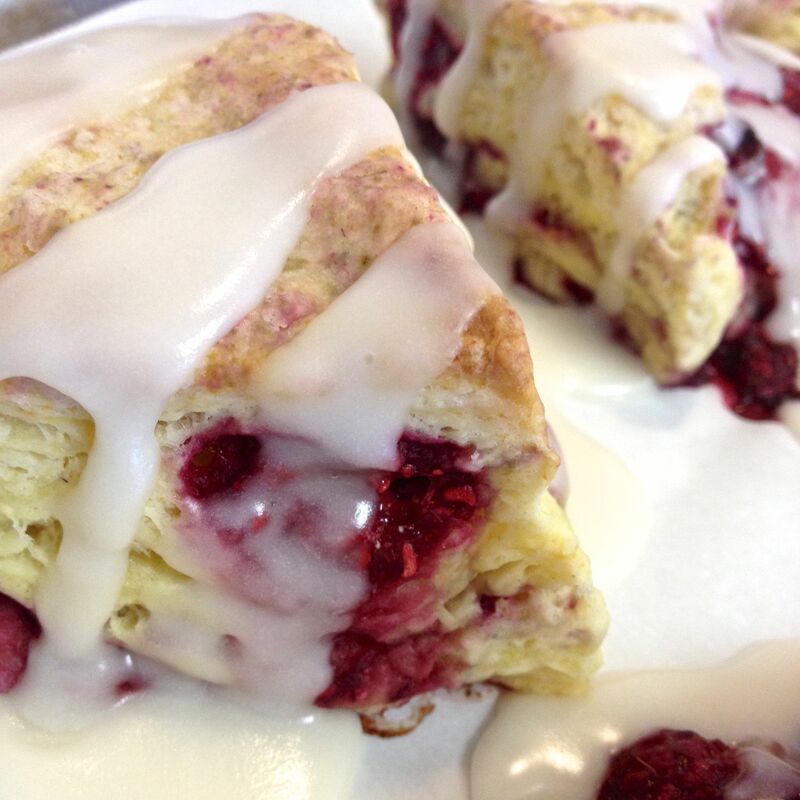 Note: Raspberries must be frozen or you’ll end up with pinkish scones with bits of raspberries smeared throughout. 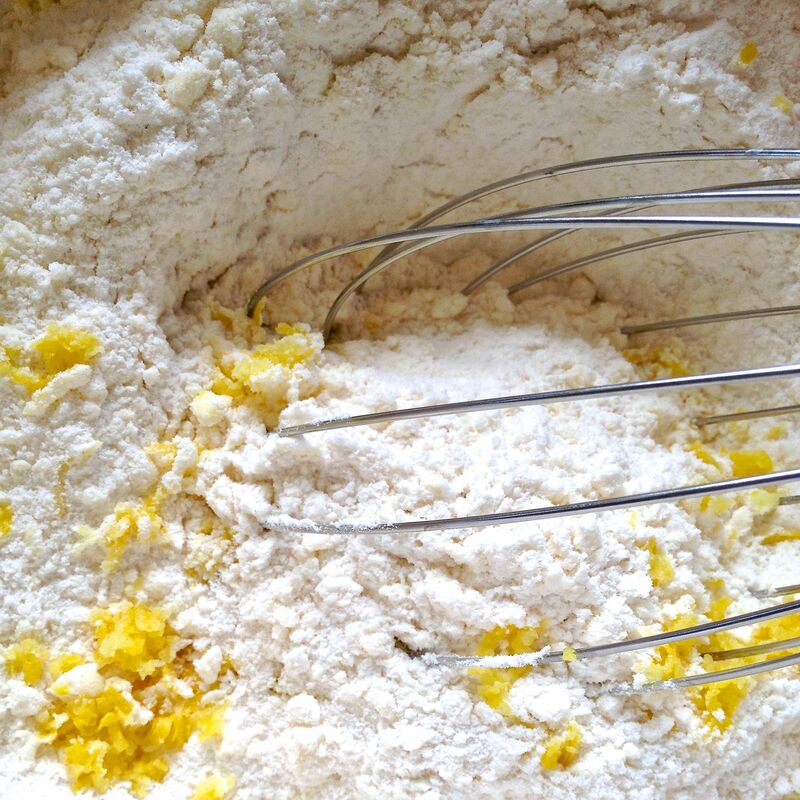 Put the flour, baking powder and sugar in to the bowl of a processor. Add in the cold butter. Pulse five times, for 5 seconds each. 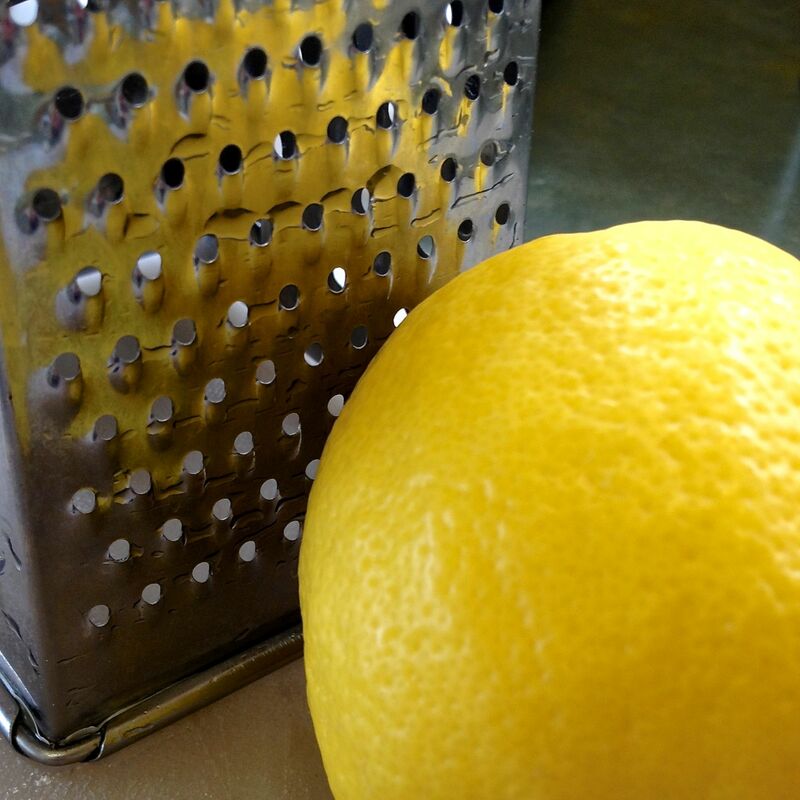 Whisk in the lemon zest (if using). Add in the white chocolate pieces (if using), and stir well. Add in the cream (or milk) and whisk together. Pour the egg & cream mixture into the dry ingredients. Stir well until almost all the dry ingredients are incorporated. 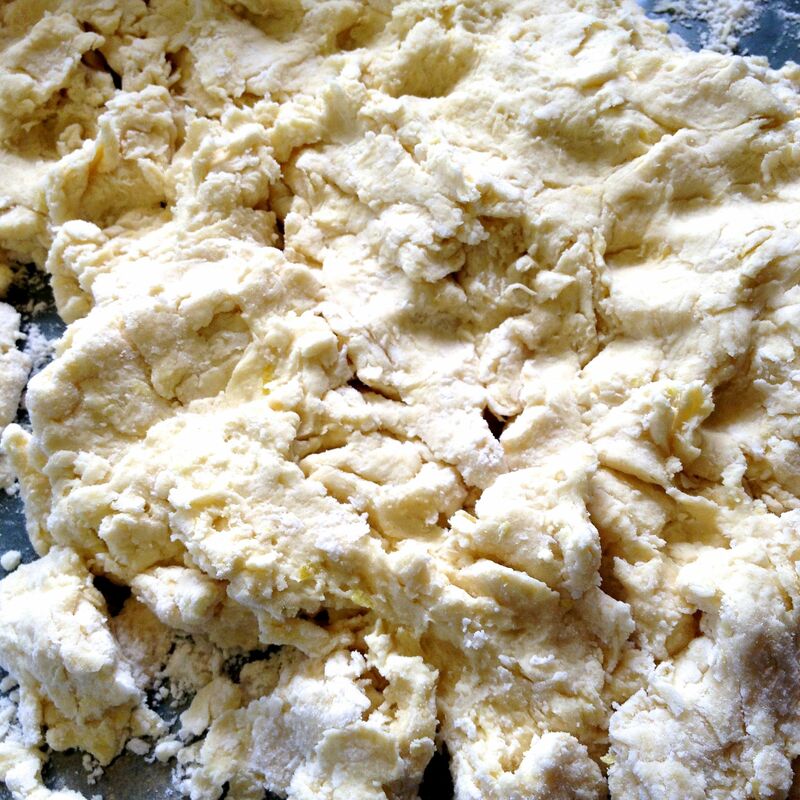 Turn out onto a well-floured surface. Knead a few times, collecting in all the loose scraps. 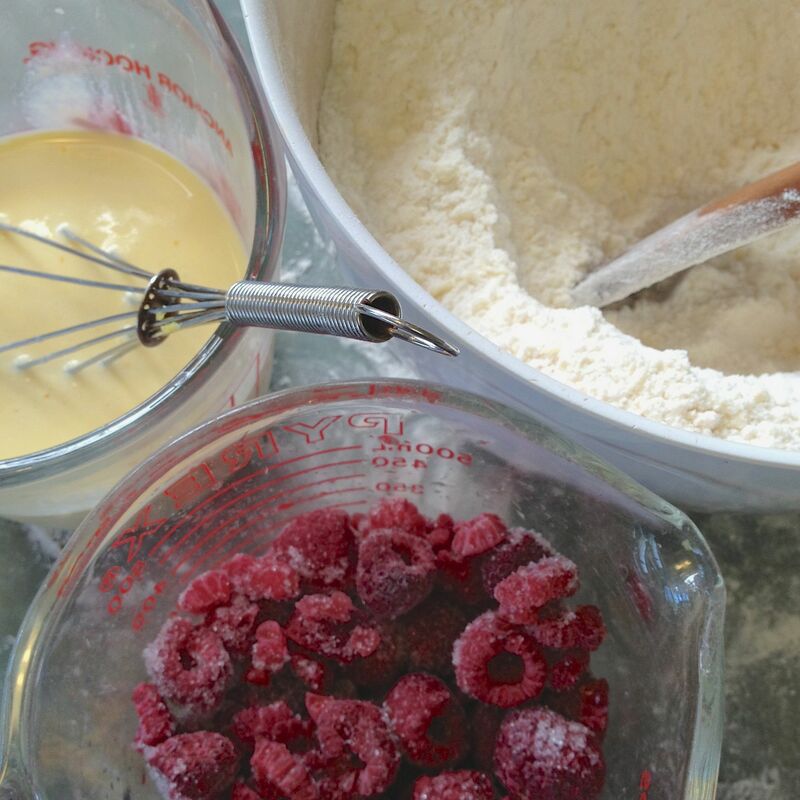 Scatter the frozen raspberries over the dough. 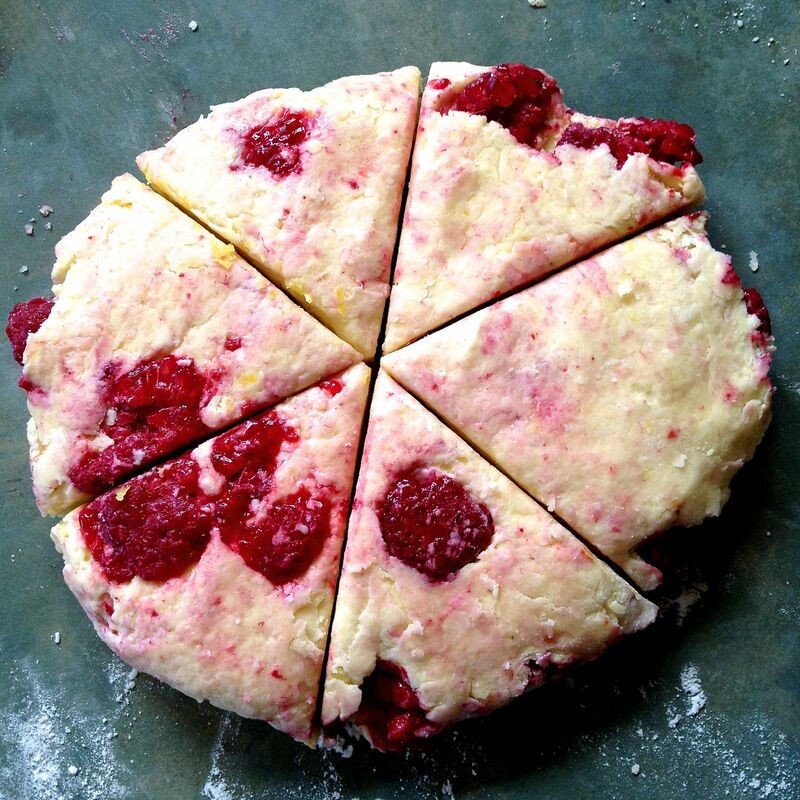 Fold the dough over a couple of times, patting in the raspberries. Form into a short log, about 3-4 inches in diameter, using your hands to pat the ends smooth. Cut into 3 equal pieces. Flatten each piece into a 6” round, about an inch thick. Place on a parchment lined baking sheet, about an inch apart. Bake in the center of a 375° oven for 23 minutes until just starting to turn brown. Prepare the glaze, by mixing the icing sugar with the milk & vanilla until it is very smooth. 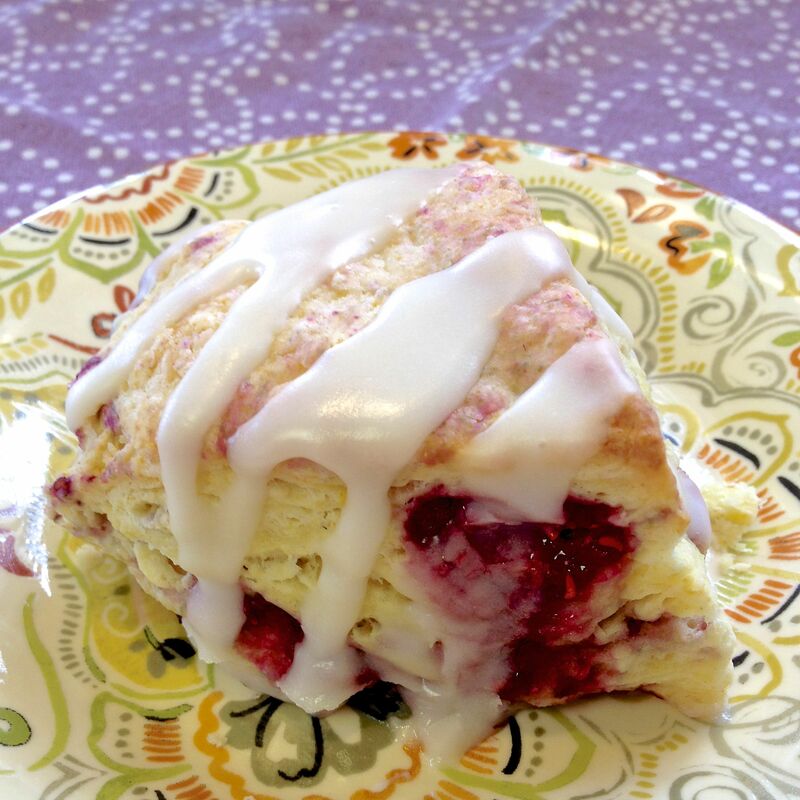 It should be thick enough when drizzled on a plate to stay in position and not run flat. Spoon the glaze into a small plastic bag (I use a Ziploc type). Cut off one corner about ¼” across to create an icing bag. 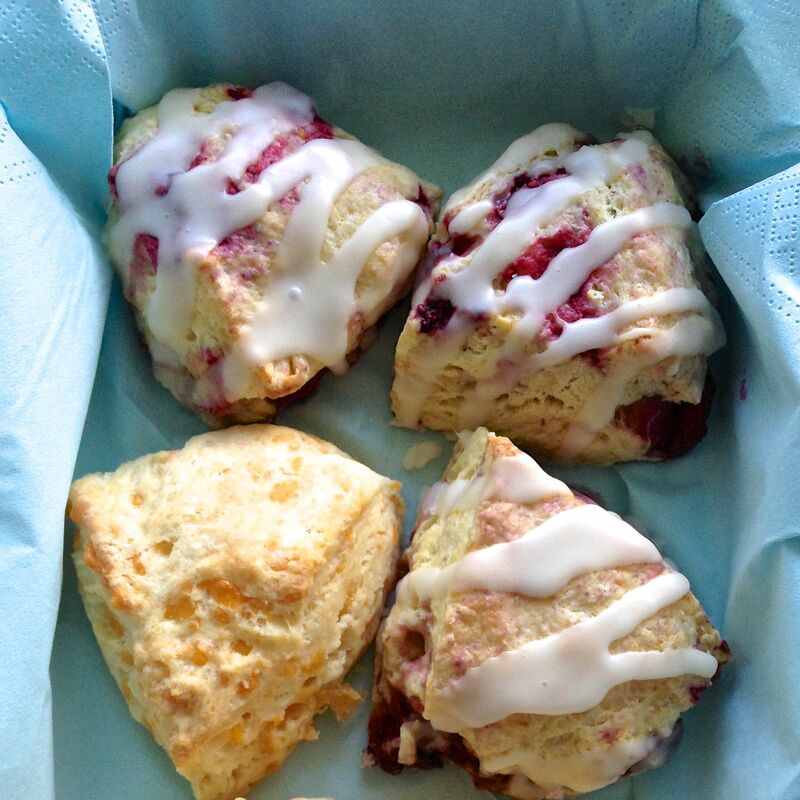 Drizzle back and forth over each scone. Let rest until icing becomes stable. Serve immediately, or store in a covered container for up to 24 hours. 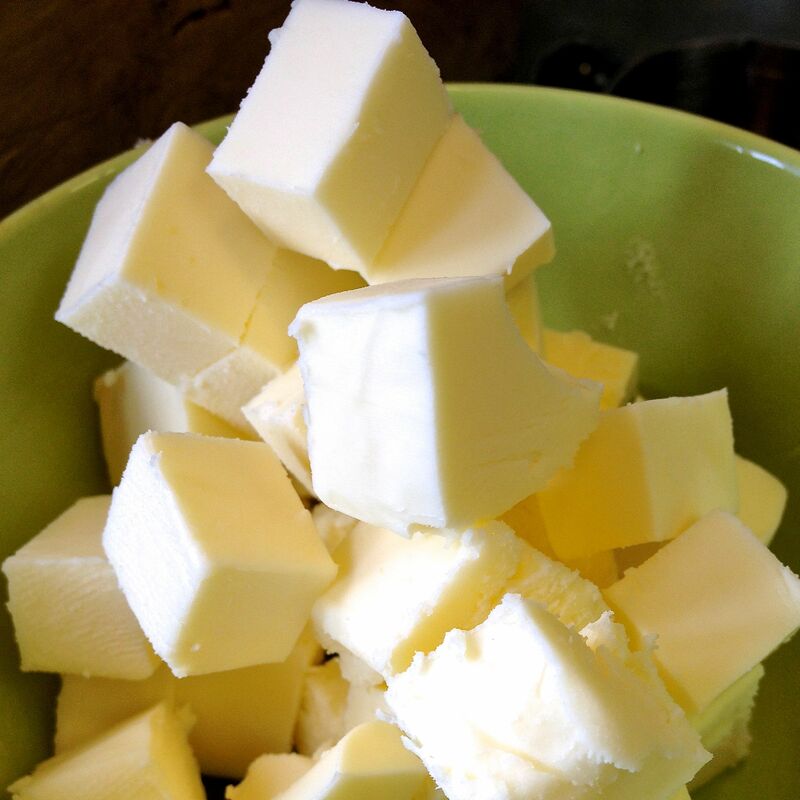 Do ahead: As soon as the butter has been cut into the dry ingredients, and you’ve mixed in the chocolate & lemon (if using), pour the whole of it into a plastic bag, and store in the fridge for up to a week, or in the freezer up to 3 months. If refrigerated, let the bag of ingredients sit out at room temperature for an hour before proceeding. If frozen, put in the fridge over night to thaw, and then let sit out at room temperature for an hour before proceeding. 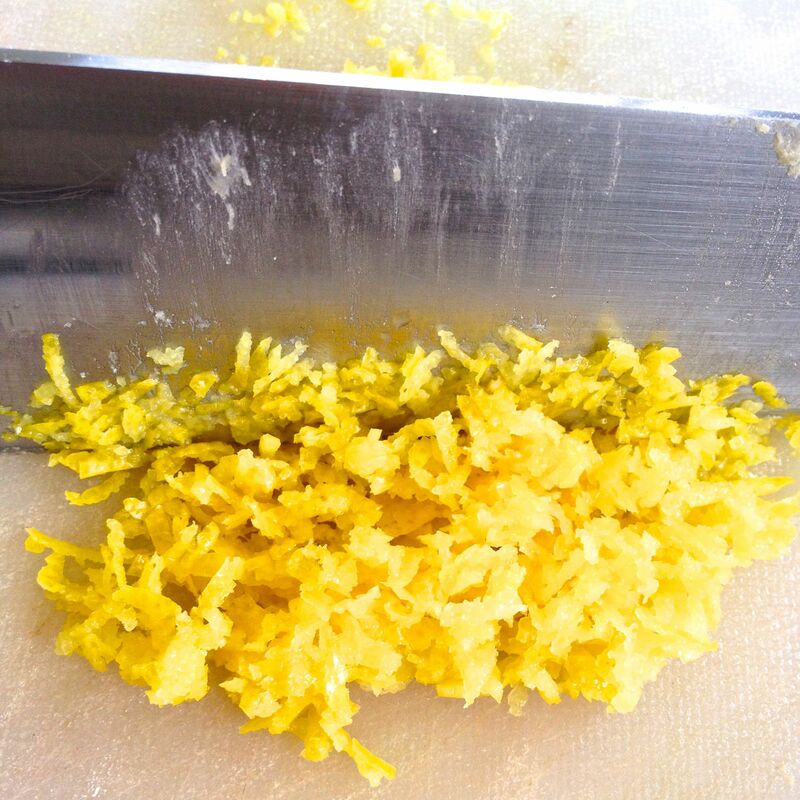 Cut in butter to dry ingredients until no piece is larger than a pea.